For three days in November of 1965 Americans soldiers found themselves surrounded by an unseen enemy in the jungles of Southeast Asia. In what would become the first battle of the Vietnam War, US troops squared off with the People’s Army of Vietnam in the Ia Drang Valley. Badly outnumbered and undersupplied, the American troops fought to defend a tiny clearing in a dense rainforest non-stop for over fifty hours. Though the communist forces were ultimately pushed back by the awesome airpower of the United States, the North Vietnamese gained valuable intelligence on how to wage war against the enemy superpower. 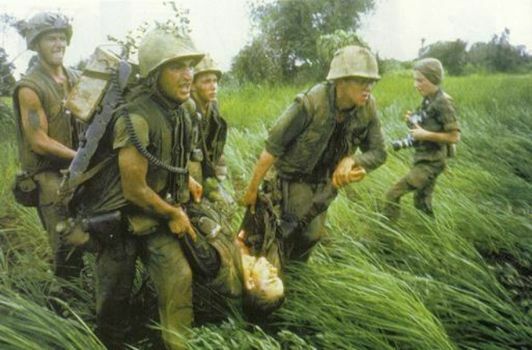 For US citizens watching at home and abroad, the battle of the Ia Drang Valley was sent a clear message that the Vietnam War was far from over, and was only just beginning. On this episode we discuss the Battle of the Ia Drang Valley.